Introducing the most comfortable and luxurious interior we have ever offered. Outfitted in premium leather with high-end trim throughout the cabin and completely pilot-focused cockpit, the M600 is elegant and inviting. Step into sophistication and enjoy a departure from the ordinary. 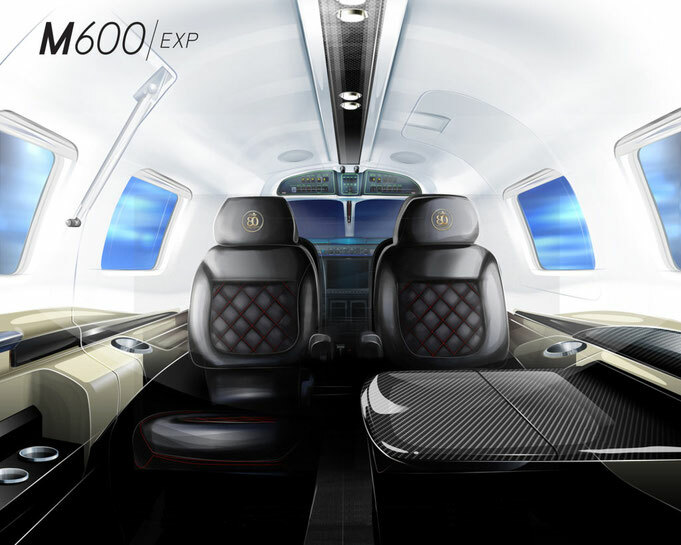 The all-new, reimagined interior of M600 is fashioned in elegance, extraordinary in both feel and function. * Firenze Interior: Choose between Vanilla or Black seats. Side panel will be of the contrasting color choice. Piper Aircraft knows how personal an aircraft purchase can be to the owner; with this in mind we are taking it one-step further through personalization. We make you, the owner, a key part of our design group as we plan the build of your interior and the design of the exterior. Contact us for more information.